The new God of War is a fantastic game (check out Wccf’s perfect 10 review if you don’t believe me), but, in some ways, it doesn’t quite measure up to past entries in the series. Some players have singled out the game’s bosses for criticism – sure, there’s still a decent number of them, but they just aren’t as big, bad, and varied as in past God of Wars. Well, in a new interview with GamingBolt, God of War director Cory Barlog reveals there was supposed to be a more varied roster of bosses in the game. According to Barlog, time and resources weren’t the only reason there are fewer bosses in God of War. It was partially an intentional choice, as Barlog wanted to present a more-streamlined story, that focused more on character than on non-stop spectacle. What do you think? Did he make the right choice? 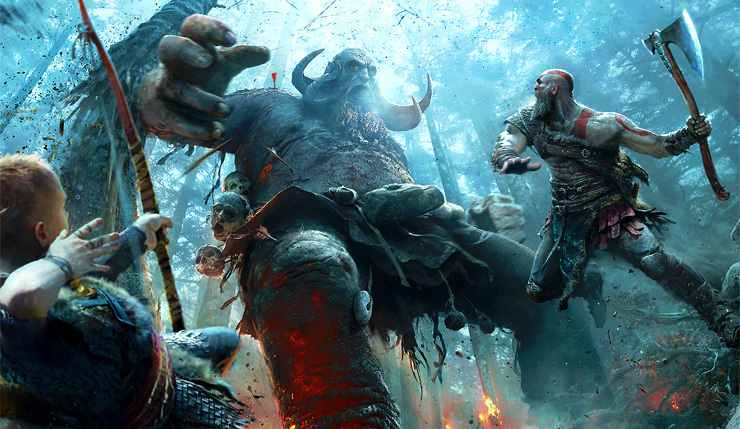 Or would you have preferred more giant baddies for Kratos to annihilate?